If you submit a piece to more than one publication at the same time, you have sent simultaneous submissions. It doesn't matter if they were sent at the same time. What matters is that multiple publications are considering the piece at the same time (simultaneously). This illustration shows the difference between simultaneous submissions and multiple submissions. Why do writers prefer Simultaneous Submissions? Writers prefer simultaneous submissions because they allow them to maximize the number of publications that can consider a piece. Especially considering that many publications can take several months (or sometimes years) to respond to a submission, submitting to several publications simultaneously significantly reduces the overall wait time versus submitting to those same publications one at a time. Factoid: According to Duotrope's Publisher Search statistics (for the last 30 days, as of April 3, 2018), 24% of fiction writers, 33% of nonfiction writers, 39% of poets, and 15% of visual artists specifically look for publications that allow simultaneous submissions. Why do some publications not like Simultaneous Submissions? Some publications don't like simultaneous submissions because many submitters don't follow proper simultaneous submission etiquette. 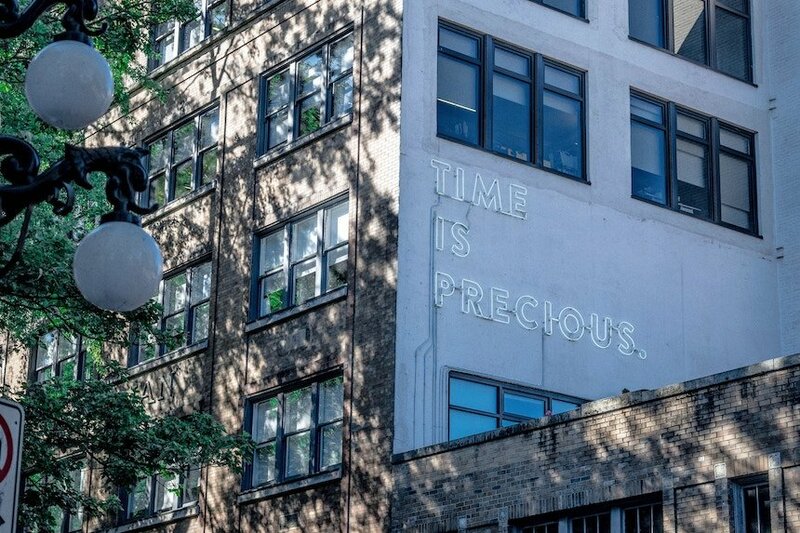 Suppose you're an editor and you've fallen in love with a piece. You write the author a glowing acceptance letter, but the author responds that the piece has already been accepted somewhere else. That's an unfortunate outcome. Not only have you wasted your time considering a piece that was no longer available, you're also disappointed that you won't be able to publish a piece that you had fallen for. In many cases, once this happens a time or two, those publications stop allowing simultaneous submissions altogether. Avoid this Semi-Secret Simultaneous Submission Surprise: Occasionally a rumor surfaces that a writer has been blacklisted by multiple publications. This really does happen. Not only can a publication blacklist a submitter for sending simultaneous submissions when they aren't permitted (and it's not hard to get caught doing that), but editors of different publications do talk to one another about "problem" submitters. Our advice is always to follow a publication's rules. What is proper Simultaneous Submissions etiquette? Always (no exceptions!) let everyone who is considering a piece know immediately when you've received an acceptance for that piece. Do this the same day you receive the acceptance letter. You should keep it short and to the point: "My piece, ___, which was submitted to you on ___, has been accepted by ___, so I am withdrawing my submission from consideration. Respectfully, ____" Then, go out and celebrate! Also, some publications request that you let them know up front when a piece is being submitted simultaneously. You don't need to make a big deal of this. Simply mention in your cover letter that the piece is also under consideration by other publications and that you'll let them know promptly if the piece is accepted elsewhere. You don't need to list the other publications unless that's part of the request. Need help keeping track of Simultaneous Submissions? 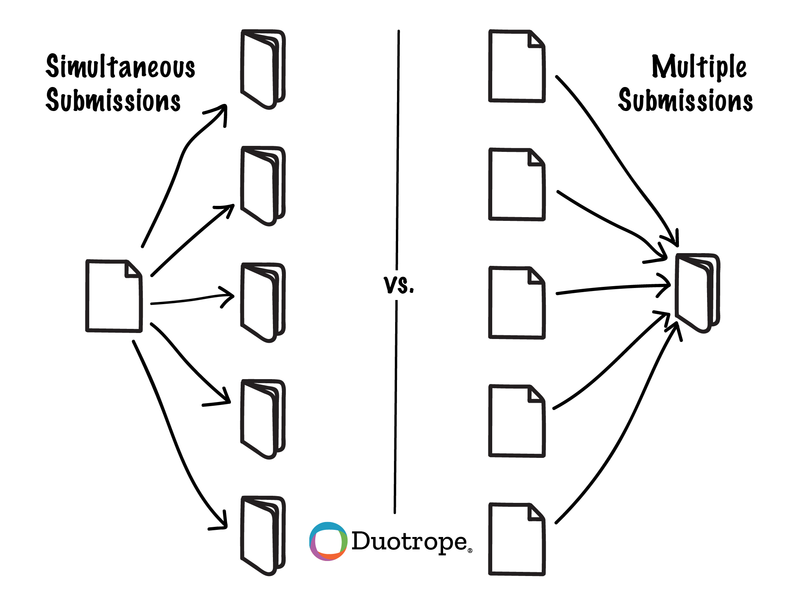 Duotrope's Submission Tracker?helps you keep track of all your submissions. Regarding simultaneous submissions, it will let you know whether it's OK to submit a specific piece simultaneously, or if it's currently under consideration by a publication that doesn't allow simultaneous submissions. When it comes to simultaneous submissions, stay safe! How many Simultaneous Submissions should I send at a time? If you get an acceptance, you have a reasonable number of publications to contact to withdraw your submission. It keeps you disciplined about submitting regularly, instead of employing a send-a-barrage-of-simultaneous-submissions-and-hope-for-the-best approach. Possibly the most important thing we've learned in our years of running Duotrope is that the people who submit regularly and consistently are the most successful. When you do get constructive criticism as part of a personal rejection, it gives you an opportunity to revisit the piece and consider whether any editing or rewriting is in order. If you simultaneously submit in small batches, that means the next batch of publications you send it to will see the newly improved version of the piece. Can I Simultaneously Submit to literary agents? While most literary agents do allow simultaneous submissions with other agencies (i.e. you can submit to Agatha at Agency A And Betty at Agency B at the same time), they don't allow simultaneous submissions within the agency (i.e. you can't submit to Agatha and Anne, who both work at Agency A, at the same time). However, some agencies do allow sequential submissions within the agency (i.e. you can submit to Agatha, and if she passes, then you can submit to Anne). As always, check their guidelines to see what's permitted, and be sure to follow simultaneous submissions etiquette. *Attention Editors: If your submission guidelines don't state your policy regarding ?simultaneous submissions, please update your guidelines to include that important piece of information.